→How Long Do LED Lights Last and Why? The practice of using LED lights is becoming more popular day by day due to their efficiency and effectiveness in light emission. 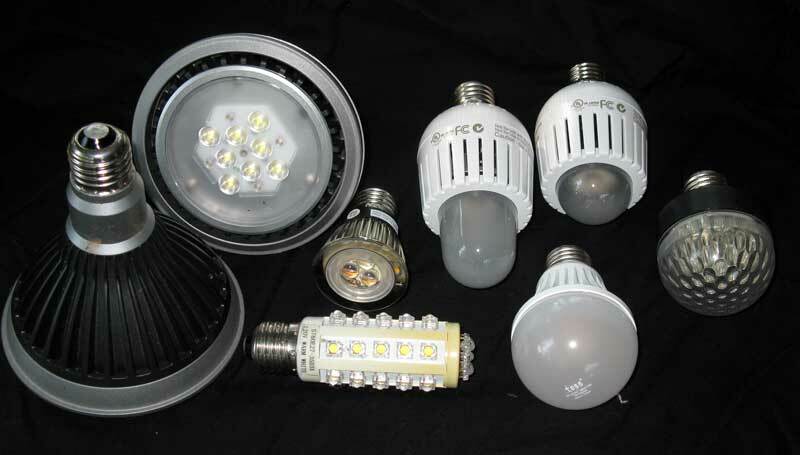 LED lights are better performers than traditional incandescent or CFL lights. They are also the best speaking from an ecological perspective, and they usually consume a lot less energy while emitting light. The advantages of using an LED light are many, but the most important benefit is the lifespan of a regular LED light. These lights last longer than traditional incandescent lights, and that makes it a useful purchase. So anybody willing to invest in LED lights must do it right away because of its low energy consumption along with its longevity. An LED light is expected to emit light for 50,000 hours on average. But this figure may not be understandable by all the people out there. Usually, this average is claimed by manufacturers while selling LED lights. However, one has to understand that the lifespan of an average LED light depends upon its usage mainly and the setup it is in. The assumption that LED lights can last that long is done by manufacturers without having any proper idea about the usage of the sun. The lifespan of an LED light in a shopping mall or as a car headlight differs from an LED which is being used at home. An average LED light may have a lifespan of 6 years or so if it is used 24 hours every day. However, it is not an accurate assumption as most people don't use the light for more than 16 hours per day. This can guarantee a lifespan of nearly 8.5 years. Also, if a LED light is used in the evening hours only, they can last up to 35 years. LED lights usually don't fail to last long, but one or two factors may play an essential role in determining its longevity. The average lifespan of an LED light can be reduced or increased by the environment it is being put into. For instance, if the light is fixed on an enclosed fixture, more often than not, it will not last long. An enclosed fixture means that the LED light will not be able to perform heat dissipation through its heat sink plate. The lights will also not last long if the environment surrounding them is not suitable for air to go through. To conclude, we will be able to understand that the heat reduction is an important factor for LED lights as its longevity mainly depends on it. If an LED light is managed and fixed properly and put on a place where the heat sink plate can work properly, then it will last 50 times longer than traditional incandescent lights and 10 times longer than Compact Fluorescent bulbs. The reason behind LED lights lasting longer is their high rate of efficiency. LED lights consume energy just like traditional bulbs but usually are more efficient than conventional bulbs. This is because it doesn't waste its energy on heat generation and rather absorbs energy only to emit light. Also, the structure of the light enables it to last much longer than traditional ones. LED lights are made of semiconductors and are called SSL or Solid State Technology so not much can go wrong with these. On the other hand, traditional incandescent lights are made of the metal filament, and light is emitted when electricity passes through the thread. Traditional bulbs are more dependent on the wire and other metal structure and backdated technologies resulting in them being not much stable. LED lights are mainly made of p-n type semiconductor, and the diode is a strong surface which ensures that the electricity is passing through a chemical compound named crystal rather than a metal compound. The chemical compound along with the structure of the LED ensures that it has a more stable outset and it also doesn’t waste its energy resulting in its longevity. Although LED lights can be used for a period of up to 6-7 years easily, it may also be mentioned that the light gets dimmer when continuously used. This process is known as degradation, and it happens after a certain period. Usually, when a consumer buys one, it’s brighter and brightens up the whole room or the place they are fixed to. With time, it gets dimmer and usually brightens up only one place and loses its focus in 30% of the areas within 2-3 years. This happens because of the degradation of the original luminous flux, and it is a natural thing for LED lights. Thus before buying LED for its longer lifespan, one should also consider the fact that it will get dimmer with time. Despite it being dimmer, it will continue to emit light through all of its life. It may get dimmer, but it does not stop emitting light and continues it throughout its lifespan. From research, we have also come to know that the heat dissipation procedure helps greatly in increasing the life length of LEDs and also helps them to age slowly resulting in dimmer lights after a long period. LED lights are a blessing for the future generation. Urban Farming, Car Lighting, and Household activities are done with the help of these energy efficient lights. Although usually said to have a lifespan of 10 years by manufacturers, consumers must know about the actual lifespan of a LED. It is long-lasting because of its structure, and its structure is also the reason it gets dimmer with time. The average LED light can easily survive up to 6-7 years for an average user, and it may increase if necessary procedures are followed in maintaining the environment and the surrounding area of the light.